It was 2013 when my daughter Rachel began experiencing debilitating stomach pains. She couldn't eat. She had rashes, fevers, joint pain, lost weight and was so weak, she couldn't attend school full time. We spent months going from doctors to specialists who performed all kinds of tests, but with no clear answer for her illness. Then one day, when we were all at our lowest point, Rachel was finally diagnosed. Rachel has a gluten and dairy intolerance. How simple we thought. No worries, we'll just go to the grocery store and buy gluten and dairy free foods. Well much to both of our surprise, this trip was extremely overwhelming. So much so that the next day I enrolled in nutrition school and later became a certified health coach. I felt a strong desire to help others manage their food allergies and the many issues that come along with having these allergies. In 2015, after two years of buying gluten and dairy free foods for our family, it occurred to me that those on a limited budget must have a difficult time providing allergy safe foods that their families may need. Gluten Free and Dairy Free food products can be twice as expensive. Because of this I opened The Rachel Way, a non profit, Gluten Free and Dairy Free Food Pantry in Plymouth Meeting. It was natural to name it in honor of my daughter, who is my hero, never complaining about the foods she can no longer enjoy. 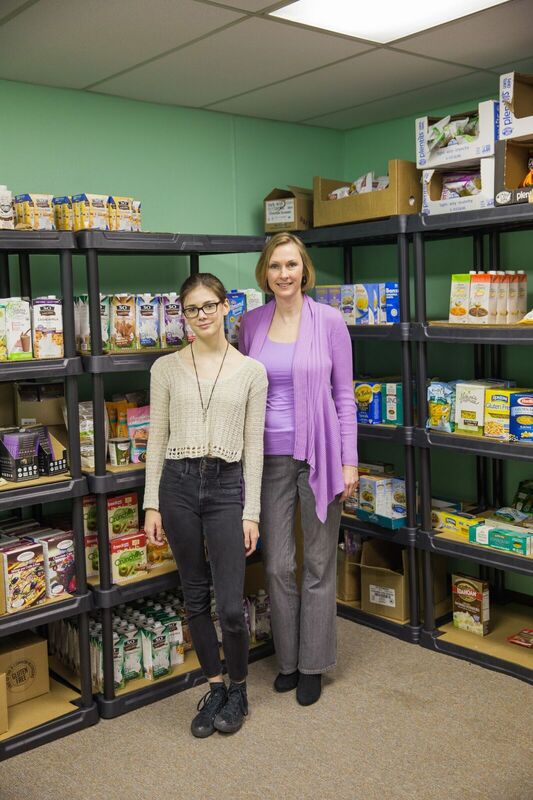 We are helping those families in our community with food allergies and intolerance to better manage their health and live without fear or hunger.